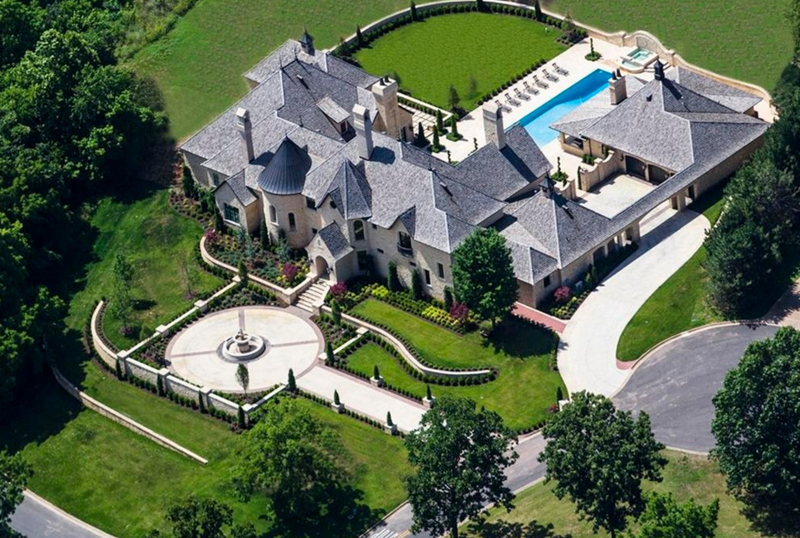 Here is a look at the Top 5 largest homes that are currently under construction in America! Some have been under construction for years while others have just begun. Check them out below! This Contemporary/Modern style home is being built by film producer/developer Nile Niami in Beverly Hills, CA on a 4-acre hilltop lot. 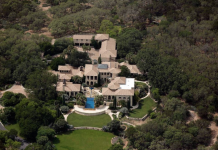 Slated to be completed in about 20 months or more, the 100,000+ square foot compound is set to have an asking price of a staggering $500 million, which would make it the most expensive residential property to ever come on the market. The current most expensive home on the market is also in Beverly Hills and is listed at $195 million, a far cry from $500 million. 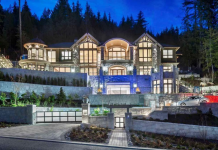 It will be comprised of a 74,000 square foot main house and 3 smaller homes. 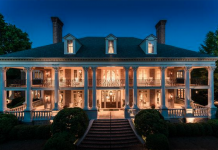 Features will include a 5,000 square foot master suite, 30-car garage, “Monaco style” casino and 4 swimming pools (including a 180′ infinity pool). 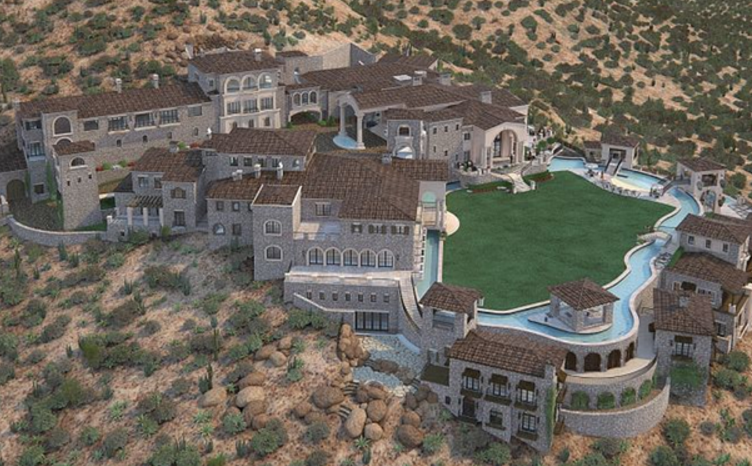 This mountaintop home is being built at 21624 North 113th Way in Silverleaf, the most exclusive 24-hour gated community in Scottsdale, AZ. 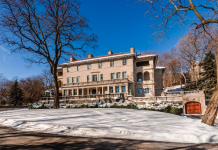 It was never finished by the 1st owner and sold for $5 million to its current owner. It was designed by Peterson Architecture & Associates and will resemble both a Mediterranean castle and Italian hillside village. 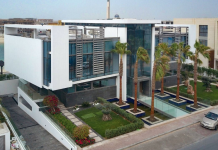 The ‘smart house’ will boast 100,000 square feet of living space with 14 bedrooms, 20 bathrooms, n indoor bowling alley, indoor basketball court, indoor swimming pool, wine cellar, underground caves, secret passages, staff quarters, the first residential IMAX movie theater, multiple interior garages, zip lines across courtyards from one part of the house to another, multiple pool complexes with waterfalls, hidden grottos, a lazy river and a three-story night club. 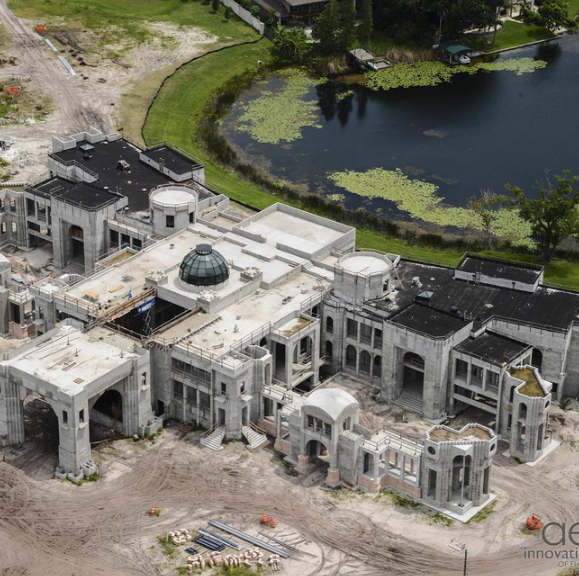 This French inspired home, dubbed “Versailles”, is being built at 6121 Kirkstone Lane in Windermere, FL. 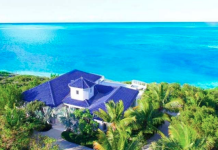 It is owned by timeshare billionaire mogul David Siegel. 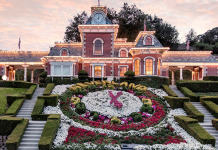 It features 90,000 square feet of living space with 15 bedrooms, 30 bathrooms, 2-story grand ballroom with double staircases, 11 kitchens, 2 home theaters, indoor spa, indoor roller skating rink, indoor & outdoor swimming pools, wine cellar, 2-lane bowling alley, 30-car subterranean garage, baseball diamond, 2 tennis courts and more. 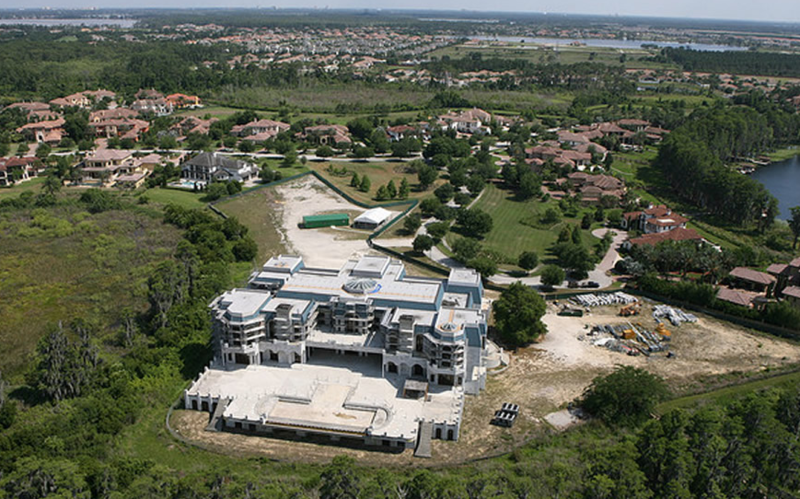 This palace-like home is being built on a 17-acre lot in Greater Carrollwood, FL. It is being built by Dr. Kiran Patel, who is a noted cardiologist. 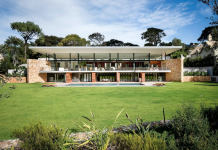 It was designed by Rojo Architecture and wis being built by Onicx Construction. 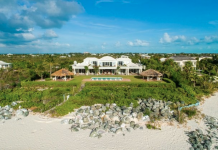 It features approximately 85,000 square feet of living space. 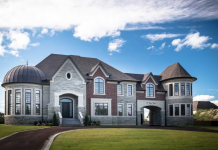 It will consist of a 32,000 square foot main house, two 7,500 smaller homes, 3 guests homes, maintenance building, 13,000 square foot garage, 17,000 square feet of outdoor living space and more. 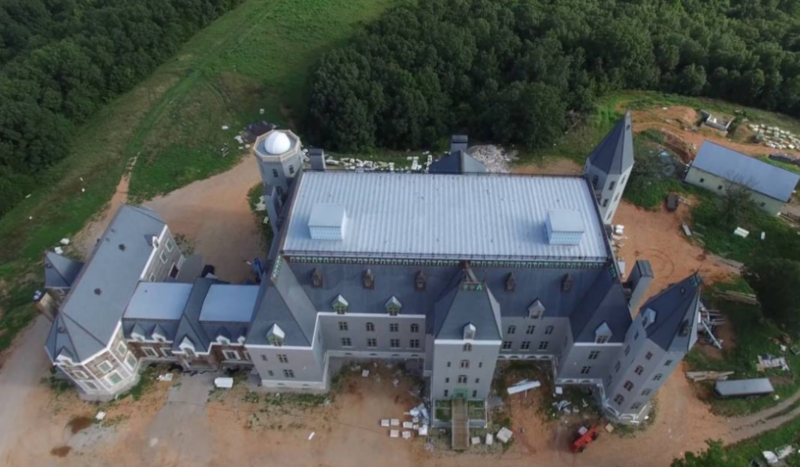 This castle-like home, dubbed “Pensmore”, is being built at 2700 Woods Fork Road in Highlandville, MO. It is being built by Steven T. Huff, who is an engineer and chief technology officer of Overwatch Systems, Ltd, a company that delivers multi-source intelligence to the defense department. The home is an ICF, which means it’s an insulated concrete form structure. 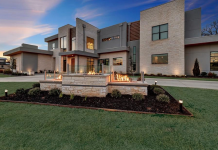 The home features a 22,882 square foot 1st floor, a 21,759 square foot second floor and a massive 23,020 square foot basement. 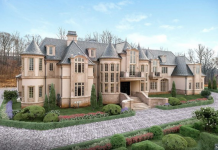 This will include 13 bedrooms, 14 bathrooms, a home theater, a music room, a 1,600-square-foot library and a 4,000-square-foot garage. The master bedroom is 1,274 square feet, while the exercise room is 1,275 square feet, according to the plans.